Gospel Day is a holiday celebrated throughout Oceania, although every country observes it on its own date. It honors the missionaries who brought Christianity to this region. This holiday has a special meaning in French Polynesia because the island of Tubuai was the first place where the gospels were taught in the native language of the indigenous population. The first missionaries arrived on the islands that would eventually become French Polynesia in the early 1820s. 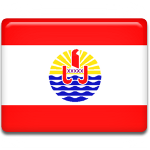 Today, Christianity is the main religion in French Polynesia. A majority of the population belong to various Protestant denominations (primarily the Maóhi Protestant Church), a large minority are Roman Catholic. There also are Mormons and Jehovah's Witnesses. On the occasion of Gospel Day, special services are held in all the churches, irrespective of denomination. It is an important holiday for all the believers.